Members of We are Change UK were at the European Parliament in Brussels to watch the Premiere of Zero, a new film that questions the official version of events on 9/11. 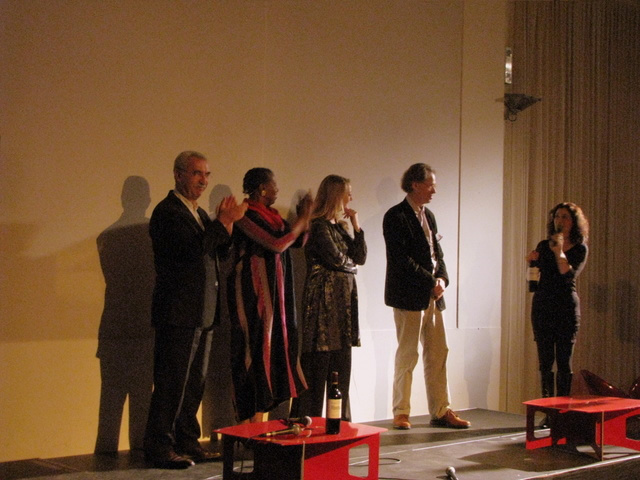 A panel of guests were in attendance to answer questions before and after the film. These included David Ray Griffin, Yukisha Fujita MP and Giullietto Chiesa MEP. David Ray Griffin is one of the leading authors on 9/11, having written 6 books on the subject. His newest book looks at the 25 largest contradictions in the 9/11 Commission Report. The beautiful city of Amsterdam last weekend witnessed perhaps Europes first ever assemblage of 9/11 activists for a very special 2 day gathering. Amongst the many dedicated and talented activists in attendance were Japanese MP Yukihisa Fujita and Italian MEP Giulietto Chiesa fresh from their meeting at the European Parliament in Brussels a few days prior. Other notable attendee's included Icelandic writer and scholar Elias Davidsson, Associate Professor at the Department of Chemistry, University of Copenhagen Niels Harrit and international war law expert and founder of The Campaign to Make War History Mr Chris Coverdale. As well as introductions and reports from each country represented; future strategies, tactics and methods were discussed and debated. Saturday evening saw the first preview of Dean Pucketts trailer for his forthcoming film 'The Elephant in the Room' shortly followed by a screening of Italian film 'Zero'. Sunday morning featured a presentation of WTC 7 evidence from Professor Niels Harrit followed in the afternoon by a presentation and discussion of war law by Chris Coverdale which ran parallel with a workshop on grassroots activism. Countries represented; France, Italy, Spain, Switzerland, The Netherlands, Iceland, Sweden, Ireland, Denmark, Belgium, Scotland & England. 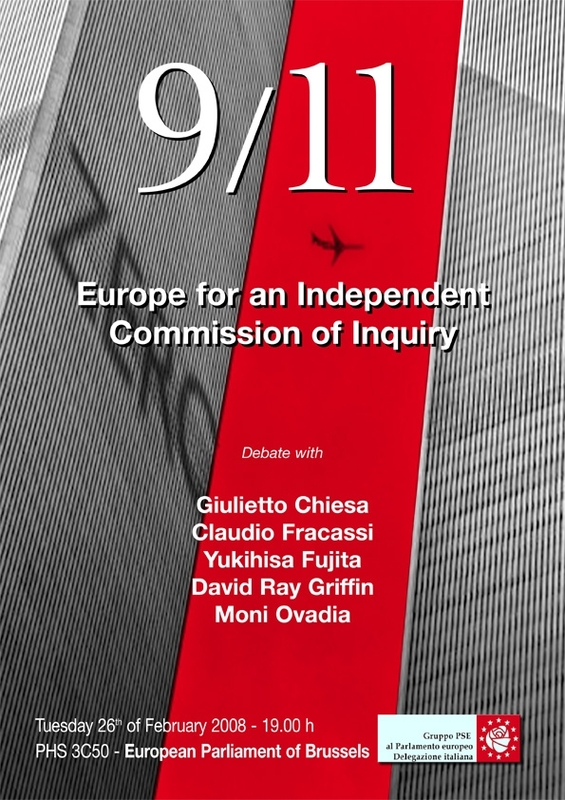 Europe for 9/11 Truth Evening at the European Parliament ! Andreas von Bulow, Giulietto Chiesa, David Ray Griffin, Yukihisa Fujita will attend this historic evening where the Giulietto Chiesa's movie Zero. Perchè la versione ufficiale sull'11/9 è un falso will be projected and a debate will follow. This historic event will happen on Tuesday, Feb 26th, and is the fruit of eight months of inquiry, documentaries and interviews conducted both in Europe and the USA. Michel Chossudovsky summarizes his views on the "War on Terrorism"
In a piece written for Giulietto Chiesa's ZERO. PERCHÉ LA VERSIONE UFFICIALE SULL’11/9 È UN FALSO, a print publication that coincides with the roll-out of the Italian 9/11 documentary, ZERO - inchiesta sull'11 settembre, Canadian 9/11 skeptic Michel Chossudovsky summarizes his take on the "war on terror", pointing out the unbroken chain of links between "Al Qaeda" and Western Intelligence agencies from the 1980's through the 1990's. One of Chossudovsky's specialties is examining links between the KLA and Western support. In this piece he also examines the drug connections in Afghanistan and current support for radical movements in the former Soviet Union, India and China. -rep.
Former Italian President, Minister, First Minister, and currently Italian Senator-for-Life, Francesco Cossiga, declared that, to his knowledge, "Tomorrow, or the day after tomorrow, the most important Italian magazine and newspaper editor will give proofs that the new Osama bin Laden video [sic] [...], in which there are threats against former Italian premier Silvio Berlusconi, is nothing but a fake, produced in Mediaset [Berlusconi's TV network] studios in Milan [...]. The trap has been forged in order to obtain solidarity towards Berlusconi[...]"
He then says that: "Palazzo Chigi [headquarters of the Italian government] circles, nerve center of Italian intelligence, note that the video's falsity is proven by the fact that Osama Bin Laden reportedly confesses that Al Qaeda made the September 11 attacks against the twin towers in New York, while all democratic circles in Europe and America, above all those of the Italian left-wing, know that the disastrous attack has been planned and executed by the CIA and Mossad, with the help of the sionist world, in order to accuse arab countries and force western powers to intervene both in Iraq and Afghanistan. This is why there has been no word of solidarity to Berlusconi from the Quirinale [home of the Italian president of the republic], from Palazzo Chigi nor from members of the left wing coalition"
In Italy, Cossiga is well known for his links with the USA and NATO intelligence services. This is the reason why Italian European parliament member Giulietto Chiesa wonders if Cossiga is actually trying to prevent the scoop he speaks about, or he is trying to "send messages" to the US government.